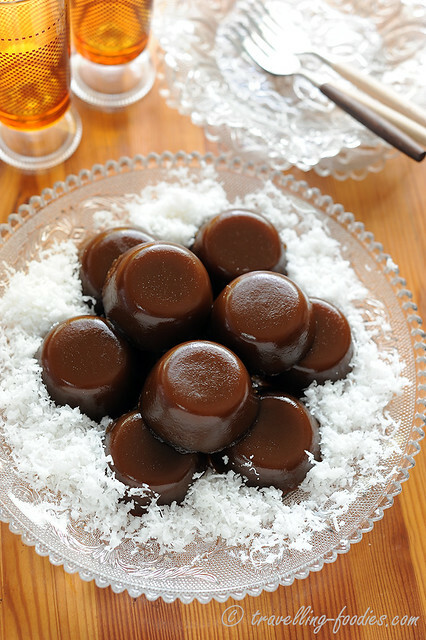 Kuih Kosui are little steamed rice cakes with a fudge-like texture, characterised by the wonderful aroma and flavours of gula melaka. I’d made these together with Onde Onde last weekend because they share a common final procedure, i.e. to be rolled in grated coconut before serving. Moreover, both are rather easy and require little time to prepare. 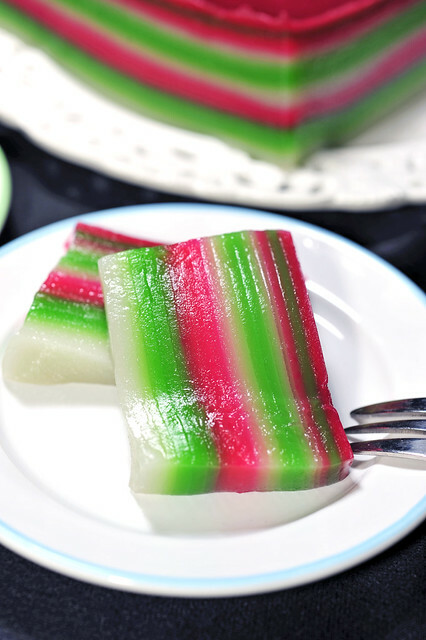 And of course, both include the liberal use of gula melaka, one of my favorite ingredients in the pantry. When we were young, my family lived in a “two-room” rented flat at Jalan Tentaram just off the PIE along Jalan Toa Payoh. It was a very small apartment, and ironic it might sound, there was only one bedroom and that meant my sister and I had to sleep on a very thin foam mattress on the living room floor every night. My parents were blue-collared workers and despite being poor, we were happy. My mother doted on us and although she wasn’t earning much, she regularly bought toys for us, even if it meant cutting back on her own expenses. One thing I particularly looked forward to when we were young, was to visit Toa Payoh Central to borrow books at the community library and a dinner out, usually at the now defunct hawker centre located in between the cinema and HDB office, where I would invariably request for the same thing from the same stall on every visit, char kway teow. On our way back home, we would stop by a confectionery for some bread for supper later into the night or breakfast next morning. 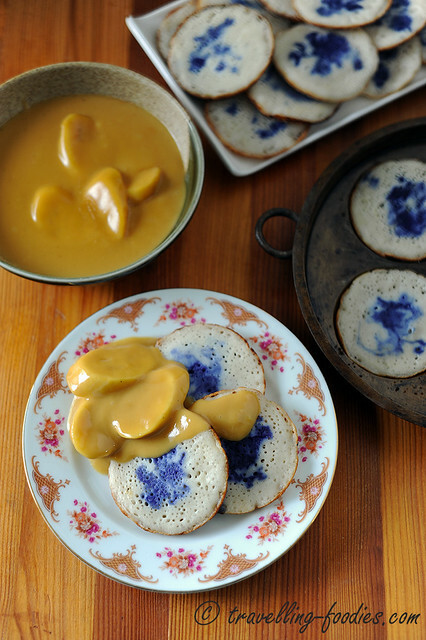 As an occasional treat, my mother would indulge in kuih muih, as she had a weakness for anything made with “santan” and pandan. Lapis sagu was clearly one of her favorites.